As 2015 drew to a close, it’s time to reveal our annual most popular diets list! We use your searches* to determine which diets, programs, books, and supplements are the most talked about, researched, and used for the year and we have to say, there were a few surprises! Ideal Protein claimed the number one spot this year, jumping from it’s #13 position in 2014. 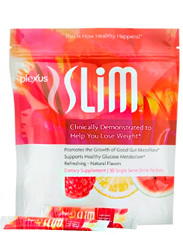 Not only is this just the fourth brand to hold the coveted spot but it’s the first time ever for a supplement product. Supplements were big all around for 2015, with Skinny Fiber, Plexus Slim and Omnitrition dropsrounding out the top 5 , alongside The 17 Day Diet still holding strong at the top since its successful release in late 2010. Perhaps even more surprising is who didn’t make claim a top spot this year. This is the first time since we started the list in 2008 that Jillian Michaels does not make an appearance anywhere. It’s also the first time Weight Watchers has fallen out of the top 5, now coming in at #10, but with the recent announcement that Oprah will be their new spokesperson in 2016, we foresee them making a comeback next year. Nutrisystem also took a tumble, dropping from #4 last year, all the way down to #24, just barely making the list. Our list also shows that restrictive “fad diets” are making a comeback with the appearance of the Tapeworm Diet and Cabbage Soup Diet at #12 and #14 respectively, although we sincerely hope you read our reviews thoroughly before trying. 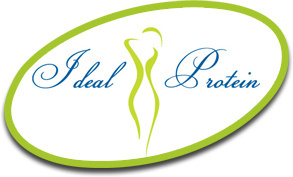 If you are looking to get the weight off for good with the #1 Program of 2015, Asheville Ideal Weight Loss is proud to offer the Ideal Protein Method. Give Lara a call to get started today at (828) 233-5633.